Captain Hayden (left). Chief Creasy (right). 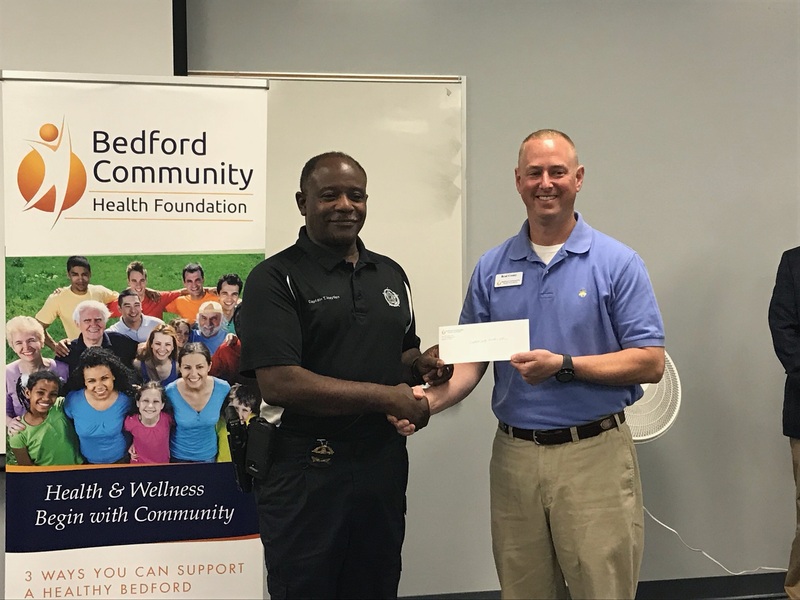 Chief Brad Creasy, a member of the Board of the Bedford Health Foundation, presents Capt. Tim Hayden of the Bedford County Sheriff’s Office, with a grant check for Project Lifesaver. Project Lifesaver is a program offered to residents of the county that may have a tendency to wander. Family members can request a special tracking bracelet for their loved one, and should that person wander away from home, the Project Life Saver volunteers can track their location for a speedy recovery. The program is free of charge for children with autism and dementia patients. If you have a family member that could benefit from this service, please contact Capt. Hayden at 540-586-4800 for more details.